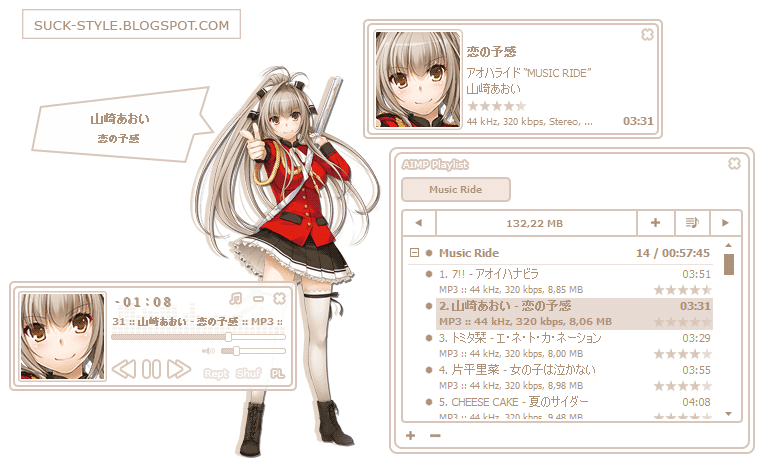 Inspiration design of this skin is from aimp3 skin Nao Charlotte that I've created some time ago [SkinSave]. I used light gray as basic colour of this skin. Actually, I could make it into one skin, but I choose to add characters in the tray control or minimize. So I have to make it one by one. 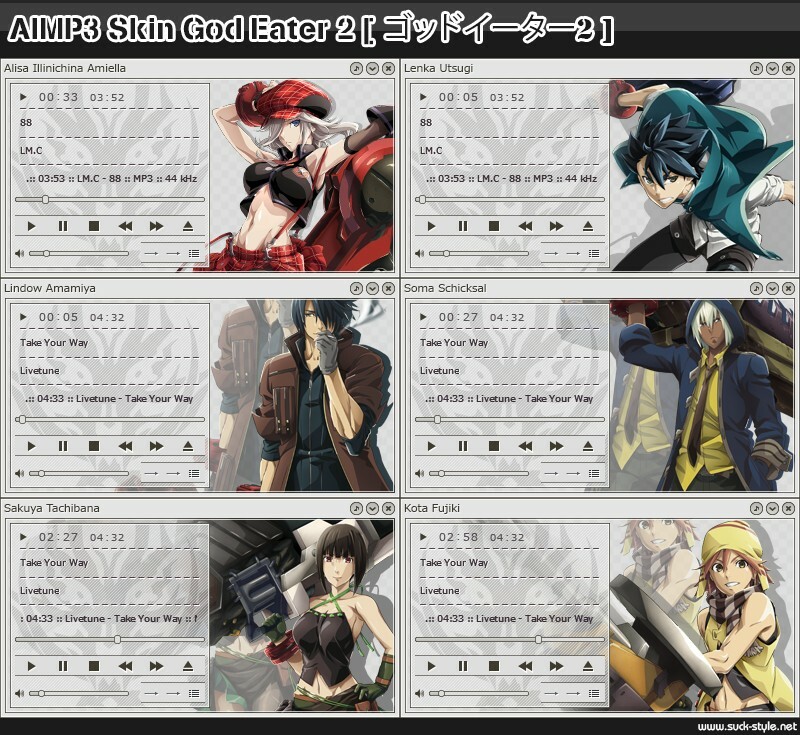 Hallo guys, now I share new aimp skin again. This skin is special for me. I made it with new feature, Function of this feature is to change the character style that you want. 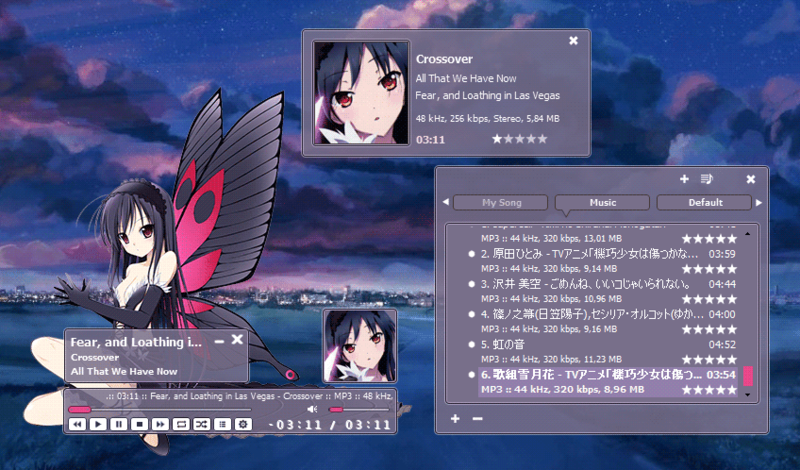 Hallo hallo, today I share new aimp skin again, and this is v2.0 from Hatsune Miku Skin.